The following contains spoilers for 10 Cloverfield Lane. They are MINOR, but you have been warned. 10 Cloverfield Lane is a film that’s shrouded in secrecy. But with its release date now less than a week away, more and more information regarding the mysterious project is being released. And one of the biggest revelations is that Bradley Cooper has a role in the film. [Bradley Cooper] and J.J. go way back because he was on Alias. And we needed to cast a very small role. And he said, ‘I wonder if Bradley would do it.’ He reached out and he was really stoked to help us out. As Dan Trachtenberg pointed out, Bradley Cooper and J.J. Abrams previously collaborated on the ABC spy show Alias, which was created by the Star Wars: The Force Awakens co-writer and director. So if J.J. Abrams, whose company Bad Robot produced 10 Cloverfield Lane, could turn to Bradley Cooper and ask The Hangover and American Sniper actor to appear in the sci-fi thriller in "a very small role," the pair are clearly still good pals. Who knows, maybe even Bradley Cooper has a cheeky cameo in Star Wars: The Force Awakens that no one has found out about yet. 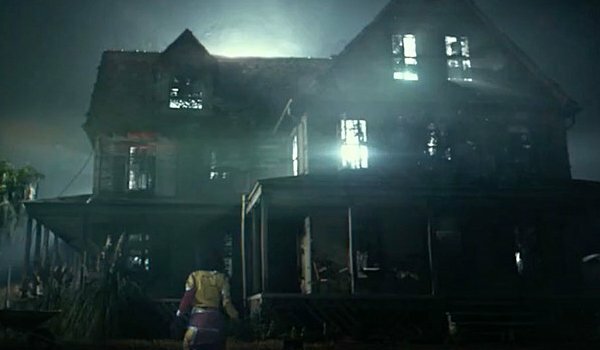 10 Cloverfield Lane’s final title was only revealed at the beginning of January, when its trailer was released with 13 Hours: The Secret Soldiers Of Benghazi. Since then moviegoers have been pining to learn more about the film, and how it’s connected to the Matt Reeves directed Cloverfield. They now only have a few days left to find out because 10 Cloverfield Lane will be released this Friday.